You know what convicts me more than anything else? Parenting. And this blog. It’s relatively easy to write about living out faith, staying offline, and being more present in real life. What’s not always so easy is living all of that out. Actually following through on those prayers, however, and showing that I’m willing to surrender it all to Christ? Much harder. Instead of fully living out my faith, I often want my life to be what I want it to be. Whether it’s spiritually, financially, blogging, family, or friendships, I usually want to live the most comfortable way that I can. But aren’t God’s ways higher than mine? Every single time I actually live out the words that I pray, God’s ways for me become my ways. I realize that His plans for my life are better than anything I could concur on my own. Time on earth is so short and I have two choices: I can live for myself, in a small bubble of what I can imagine on my own. Or, I can live for Christ by stepping out of my comfort zone and allowing Him to bless my life in a way that wouldn’t be possible otherwise. It’s time to step out and act in faith. No more holding back. Yes! I think all bloggers deal with this. We can write all we want about those topics, but are we living them? Really? 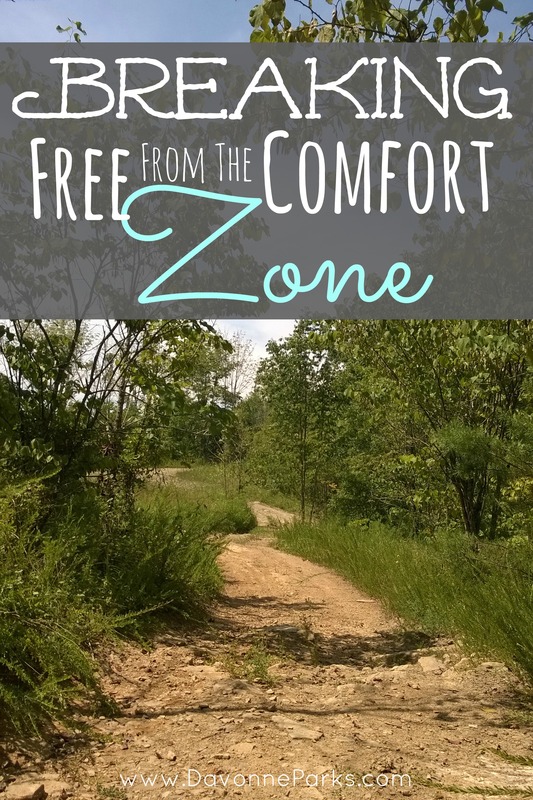 I also think we all struggle with stepping out of our comfort zone. Whether it is making friends with the new mom in church, or trying out a new play group with our kids, or applying for that dream job we have always wanted. We have to trust that God will lead us, and prepare us for those next steps. Great post!! Misty, I completely agree! Thanks for sharing your thoughts!